This cavalry regiment was formed in 1685. It went on to serve in many British Army campaigns until 1958, when it merged with the 7th Hussars to form The Queen’s Own Hussars. Early in 1685, four independent troops of cavalry were raised to protect London from the threat posed by the Monmouth Rebellion. These were initially attached to what would later become the 1st Royal Dragoons. 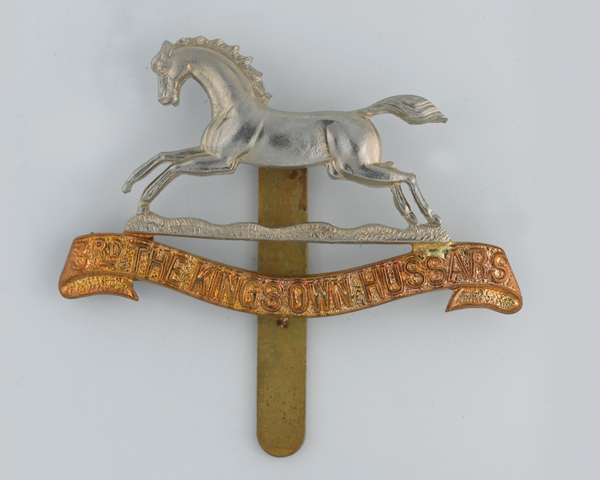 On 17 July that year, along with two more troops of cavalry, they were formed into a separate regiment. This new unit was named The Queen Consort’s Own Regiment of Dragoons and initially wore the livery of King James II’s wife, Mary of Modena. However, much of the regiment had Protestant sympathies. Its first colonel was dismissed after only a year. Then, in 1688, half the regiment went over to William III, with the other half joining them after James’s flight to France. The regiment spent the rest of the 17th century fighting James and his French allies in Ireland and the Low Countries. The War of the Spanish Succession (1701-14) then saw the regiment used in raids on the Spanish ports of Cadiz and Vigo and fighting at Almanza. 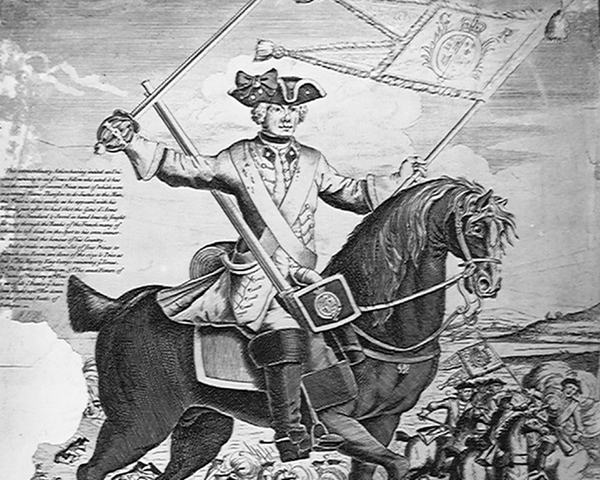 On King George I’s accession in 1714, the regiment was renamed the King’s Regiment of Dragoons. The following year, George granted it his family crest of a white horse as its cap badge, in recognition of its service against the Jacobites at Sherrifmuir in 1715. 30 years’ home service followed, finally broken by the Battle of Dettingen in 1743, where it held its position for three hours under heavy artillery fire and charged three times. One of its privates, Tom Brown, was severely wounded saving the regimental colour during the battle. He was made the last ever knight banneret on the battlefield by George II. Two years later, the regiment was sent home to fight at Culloden. 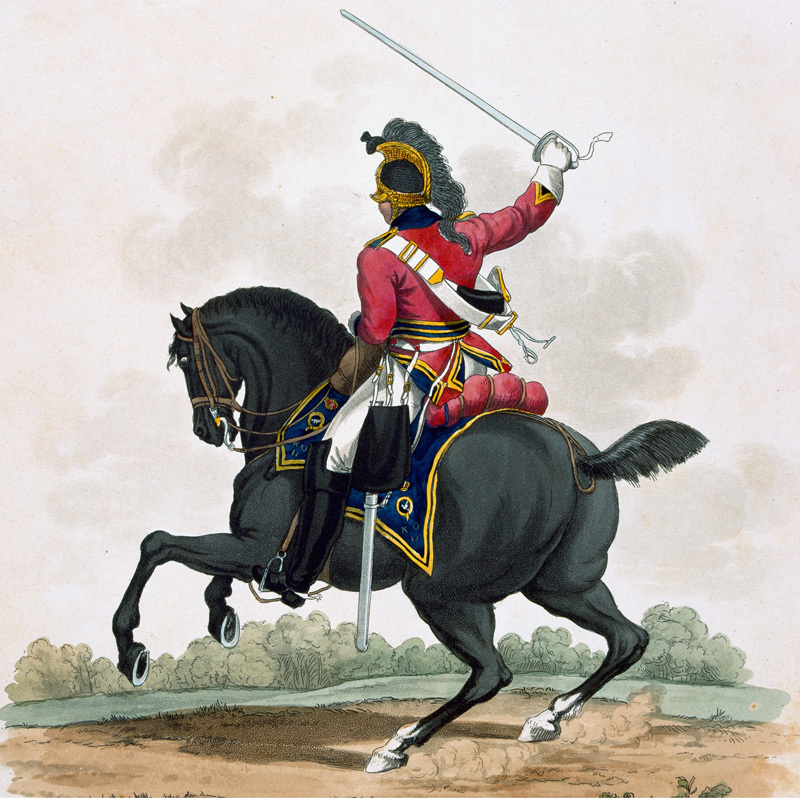 Then, in 1751, it was retitled the 3rd (King's Own) Regiment of Dragoons. Except for suppressing the 1780 Gordon Riots, it saw no more action for the rest of the century. In 1809, it was sent on the Walcheren expedition to the Netherlands and then to the Peninsular War (1808-14) from 1811 to 1814, in which it fought at Salamanca and Vittoria. It missed Waterloo, but joined the Army of Occupation in France briefly before returning to policing duties in England and Ireland for over 15 years. The regiment was renamed the 3rd (The King's Own) Regiment of (Light) Dragoons in 1818. 1837 saw the regiment on its first Indian deployment, which lasted 16 years. There, it took part in the First Afghan War (1839-42) and the First and Second Sikh Wars (1845-49), including the battles of Kabul, Moodkee, Ferozeshah, Sobraon, Chillianwala and Goojerat. It remained in England and Ireland during the Crimean War (1854-56) and alternated between home service and India for the rest of the 19th century. 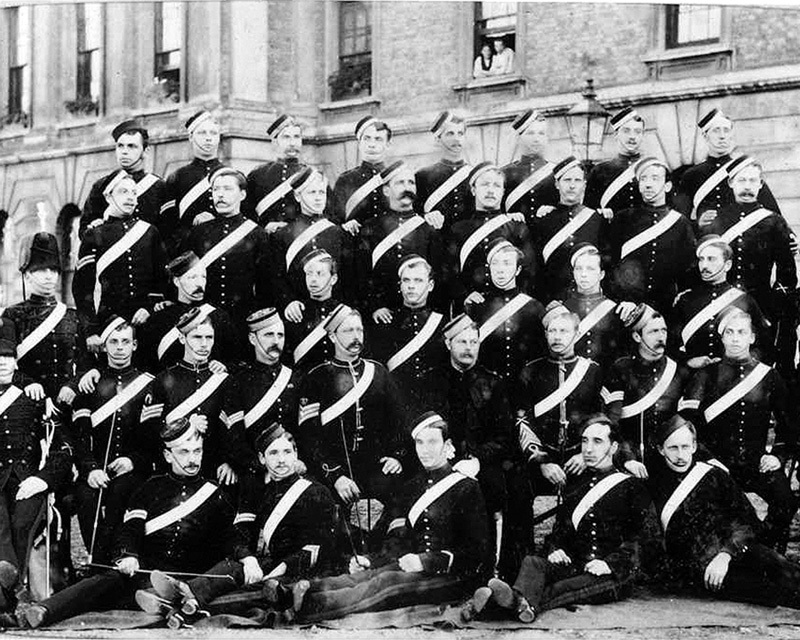 In 1861, the regiment was renamed the 3rd (The King's Own) Hussars. From November 1901, it was on anti-guerrilla operations during the Boer War (1899-1902), before spending the next 13 years in India, South Africa and England. The regiment spent the whole of the First World War (1914-18) on the Western Front, mainly as dismounted troops, but still won 20 battle honours there. It joined the Allied occupation forces in Turkey during the 1920s before garrison service in Egypt and India. The regiment was back in England by 1935. A year later, it was converted to use armoured cars. 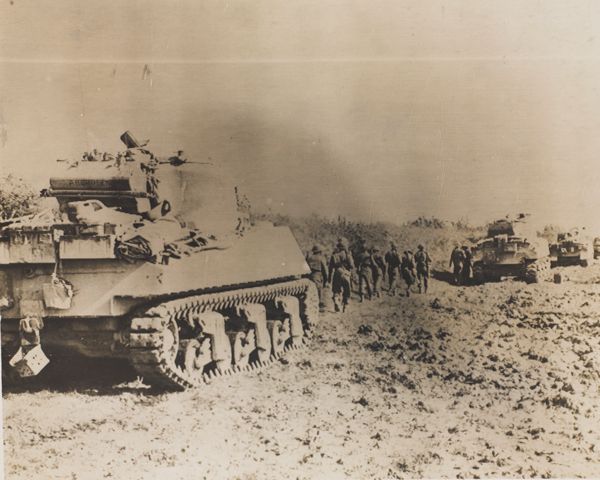 And a further five years later, it was re-equipped with tanks in which it fought in North Africa from 1940 to 1941. It then split into two squadrons. 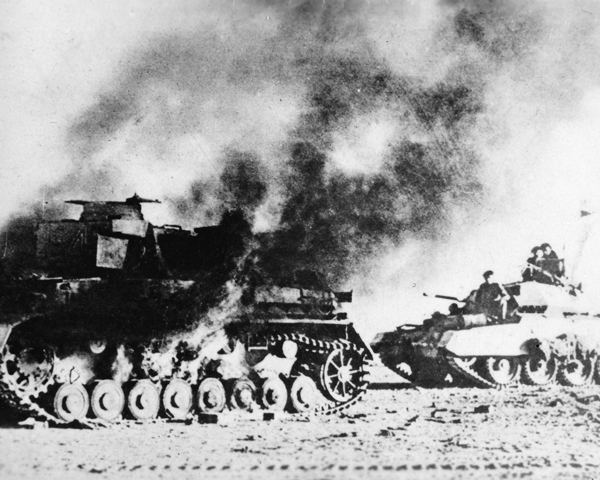 One was captured in its entirety on Java by the Japanese in 1942, but the other fought in the breakthrough at El Alamein in 1942. These events left it so short of men that it was transferred to Syria and Lebanon until April 1944, when it joined the Italian campaign. It spent 1945 to 1948 peacekeeping in Palestine and then seven years in Germany from 1951. It returned to England in October 1958 and the following month was amalgamated with the 7th Queen’s Own Hussars to form The Queen’s Own Hussars. Explore the history and collections of the 3rd The King's Own Hussars by visiting the Queen's Royal Hussars Museum.